Fendi’s embellished black gown debuted on the SS19 runway and is the picture of ethereal glamour. It’s made with layers of sheer silk tulle, artfully structured into a corset-style overlay with pintuck pleats creating the effect of traditional boning for a defined waist. 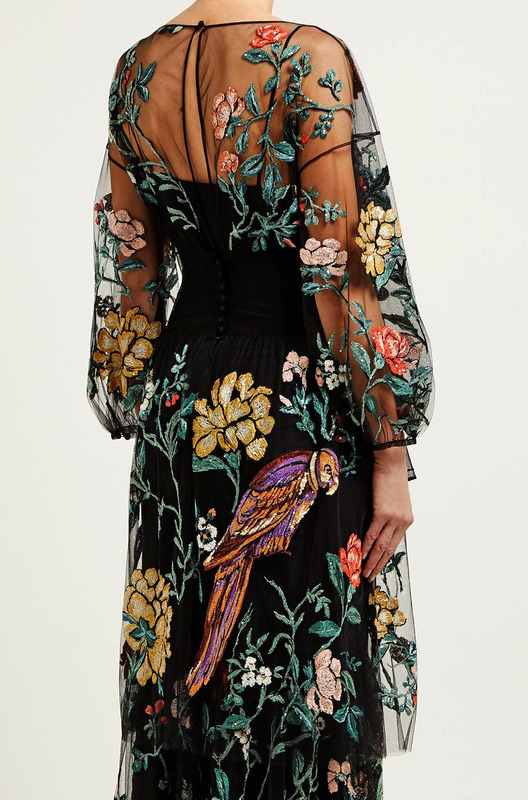 The tiered shape is covered in intricate flowers and birds embroidered from rich jewel-toned thread – ideal for matching with coordinating accessories. Fendi's pumps have been impeccably made in Italy from beige leather and detailed with a pink toe cap. The vamp is cut slightly higher on the foot for a bootie-inspired silhouette, while the angular heel adds a graphic touch. Wear yours with sharp tailoring and midi skirts. This pastel-pink high-neck Fendi blouse is representative of the fusion of sporty and ladylike codes of the vibrant Resort 2019 collection. It’s Italian-crafted from airy silk that’s cut to a loose fit and accented with white ribbed-knit edges and a mauve version of the double-F logo across one cuff. Try tucking it into a pencil skirt for the most feminine take. The tile pattern on Fendi’s blue and white midi dress appears throughout the house’s Resort 2019 lookbook. 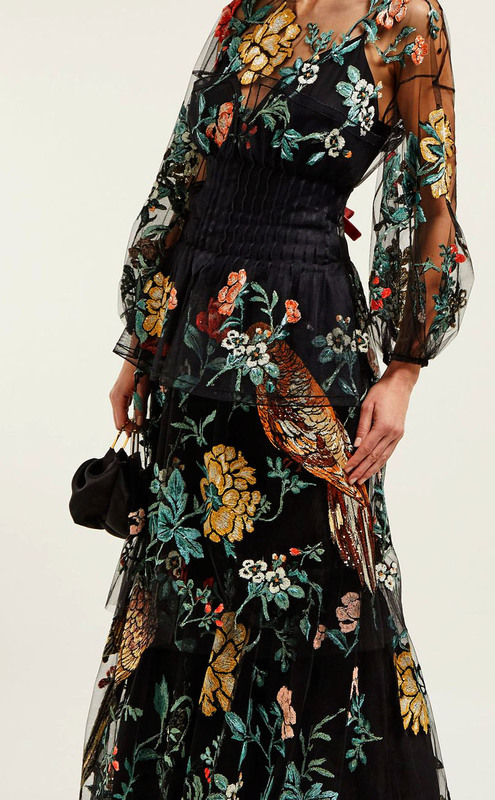 It’s Italian-crafted with a delicate floral lace collar and exaggerated shoulders, cinches at the waist and then fans out into a pleated asymmetric skirt. Style it with metallic-silver sandals to take you from day to evening.